There are few more daunting parts of the Bible to read than a genealogy. The endless list of hard to pronounce names and simple addition seems designed to test our patience. Why would God include these in our Bible? Are these really ‘god-breathed and useful’ (2 Tim 3:16)? Where is the gospel in a genealogy? This fifth chapter [of Genesis] seems largely superfluous and useless because, as you see, it contains only the lineage of certain patriarchs and their lifespans, which do not seem to pertain to us at all but rather do more to provoke us to impatience when we hear of how long were the lives of the patriarchs, some of whom exceeded nine hundred years while we scarcely reach ninety! Superfluous. Useless. 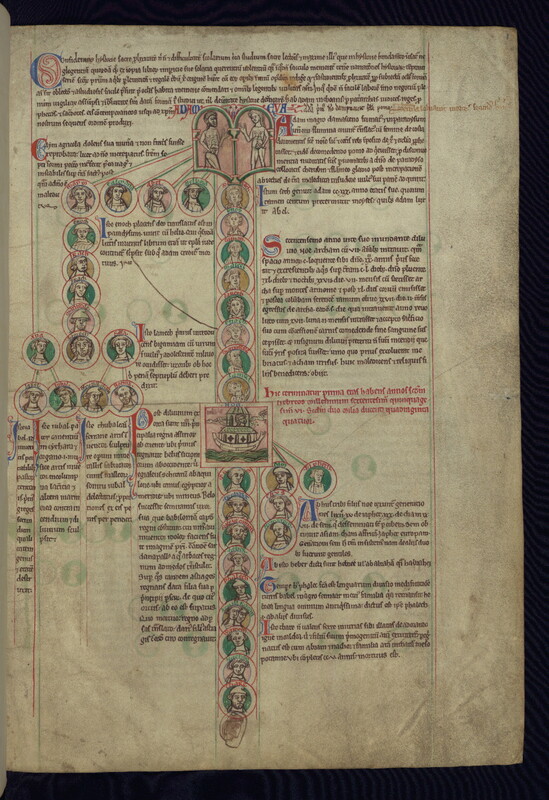 Is that really all there is to these genealogies? But what if it wasn’t. What if even the genealogies of Genesis pointed to Jesus Christ? What if there was good news in the lineage and ages of the patriarchs? In Luke 3, the genealogy of Jesus Christ is recorded. Luke traces Jesus’ lineage back through the exile to King David, back through David to Judah, Jacob, Isaac, and Abraham. Eventually, the lineage of Jesus looks much like chapter 5 of Genesis. Jesus is “the son of Jared, the son of Mahalalel, the son of Kenan, the son of Enosh, the son of Seth, the son of Adam, the son of God” (Luke 3:37-38). The Holy Spirit preserved this lineage because it contains and is contained in the lineage of Jesus Christ. The story that began in the garden with Adam and Eve and includes the promise to redeem by crushing the head of the snake, is continued in the likes of Jared, Enoch, and Methusaleh. It’s the same story. As Johannes Brenz put it, “when the Holy Spirit describes the line of these patriarchs, the focus was on Christ above.” Even as the curse was felt through death and the violence of Cain, God preserved Adam’s seed and kept his promise. The promise to redeem that was made in the garden was kept and continued through the genealogy of Genesis 5. And this is good news. How is it good new for you that God included Genesis 5 in the Bible? Which sections of the Bible are hardest for you to read? How do you hear the gospel in them?